We are engaged in supplying a wide range of Medical Lamps including U.V-A Lamps, UV Fluorescent Lamps, Medical Examination Lamps, Philips Infraphil Lamps. These are procured from reliable vendors across Europe, USA and Asian Countries. Available in various models, weight and other specifications, these are offered at industry leading prices. 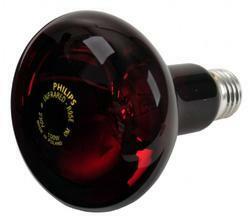 We are leading wholesaler & retailers of Philips Infrared Lamp.